is there a 1.2.5 version of this? seriously, the recipes work for ore blocks? 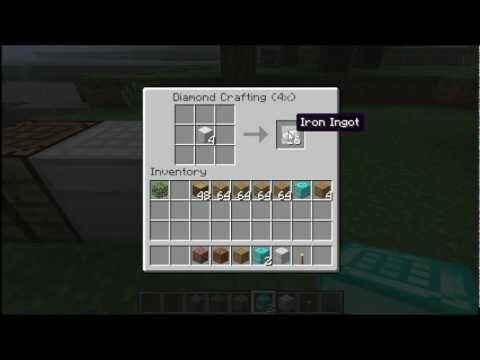 so with an iron table 9 diamond => 2 diamond blocks => 36 diamonds. if this isn't overpowered, then nothing is. Y U don't update to 1.3.2??? Cool,bad it's for 1.0.0. cause I got 1.3.1. but very good mod! 1 Iron block is 9 ingots on a normal bench, so why is 4 iron blocks 16 on a diamond workbench? That's 1 iron block for 4 ingots. can you see alot of poeple that want you to update your version. how about update your version so very one will be happy again . i don,t want to be rude but it look like you don,t care about other poeples commants I care about this mod too. can you just please update your server? hopefully one of you guys can talk to him on person, if you know him on person about that. if you do update it. poeple will care and give you DIAMOND,and maybe you will have alot of DIAMOND. i know you have 111 by now but you still can get more, if you do update your mod, and p.s i can,t live without this mod too. its been like 6 mouth sense you update this server. hopefully you guys can help. I do not have any plans to rewrite this mod anymore. People begging in the comments won't change this fact. If anyone literally can't live without any of my mods, they are absolutely free to rewrite it themselves. ok then, whats the real reason you won,t update your mod? I lost the source code and I haven't been doing a lot of Minecraft modding recently. Please UpDaTe!!! I can't live in Minecraft without this mod! could you make the texture a bit less iron/diamond and a bit more workbench? Sooooooooo, now when i have a Iron Workbench, i have infinite things that i can make a block from that i can transform into the original item. dude u can duplicate diamonds? Hey could you link me to a good GUI modding tutorial. BTW I love this mod. u need to make it so u can upgrade the diamond one with gold blocks to make super crafting table! This mod doesn't instantly give you more items or makes the game much easier, instead it lets you work for the upgrades (36 diamonds for a diamond workbench). you can duplicate Diamonds with that. so this mod gives you more sticks? i know just joking... i cant do mods so dose it make multiple tools as well? Yes it does.. 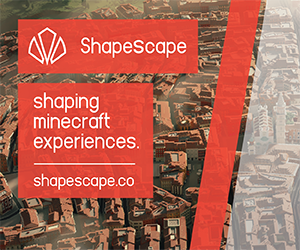 It turns everything crafted multiplied. wat about a gold Upgrade? Still awesome tho i downloaded it! hey. what do you do to actually install the thing for a windows computer. you dont say anything on that and i dont seem to know what to do. do you extract it to the minecraft.jar file or just put it in the mods folder. but i have done both of these and neither of them work. First install ModLoader, then drag the ZIP file's contents to minecraft.jar. This is planned actually :) There will be speed and quantity upgrades for furnaces in the next update. if you cheat your only cheating yourself and wont have the satisfaction of actually finding the diamond.plus if you want unlimited items get too many items. (to all the complainers of unlimited diamond). Very amazing. but u might want to make it so u cant get unlimited diamonds. (if you get enough diamonds for one diamond block then you can just put it in the silver or diamond workbench to get more than you started with) just an idea. Make sure you installed ModLoader and deleted META-INF in minecraft.jar.